The morning did not look promising as it was raining lightly in Tsawwassen as we met at Petra’s. Newcomer Glen, Sheila, Terry, Kay, (latecomer) Lorna, and myself (Roger) left for Pitt Meadows in two cars and picked up Mike in New West on the way. 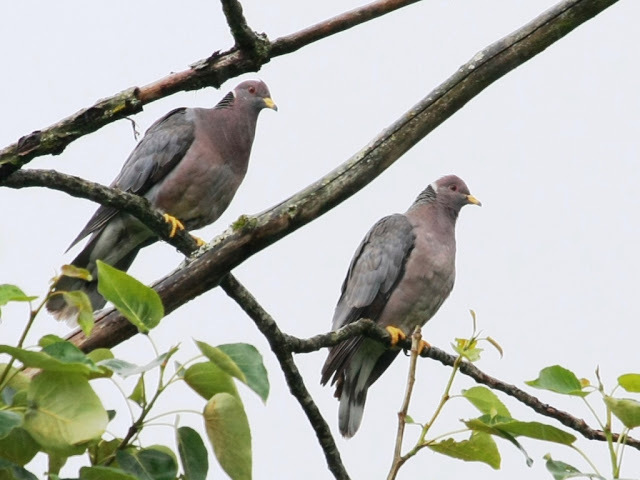 Just before reaching the lake we stopped to view a tree full of Band-tailed Pigeons. 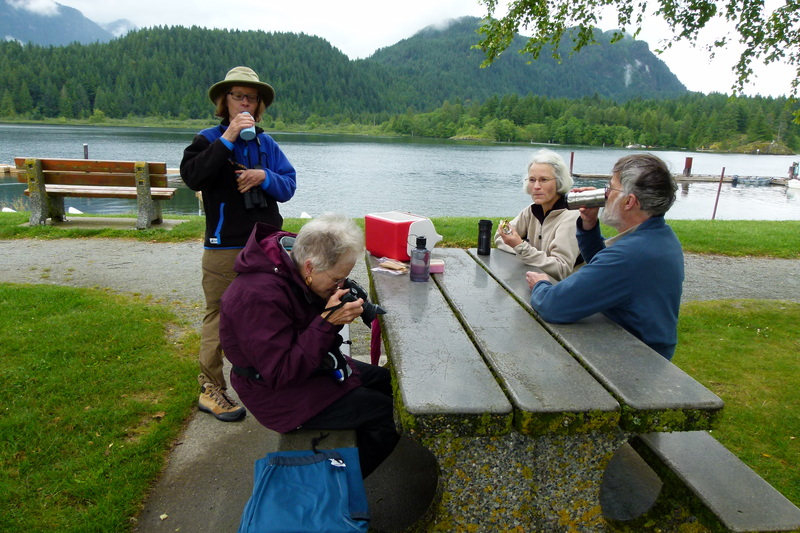 At the lake the rest of the group, some of whom had been waiting for an hour, was met and included Al, Marion, Annie K, Coquitlam Gus, Bryan and Janet, Lorraine and Jonathan, and Kirsten for a total of 16… not bad considering the weather. Since Tom had been called away unexpectedly, we were faced with being leaderless, and we failed to stick together, so the group became quite spread out over the trail. 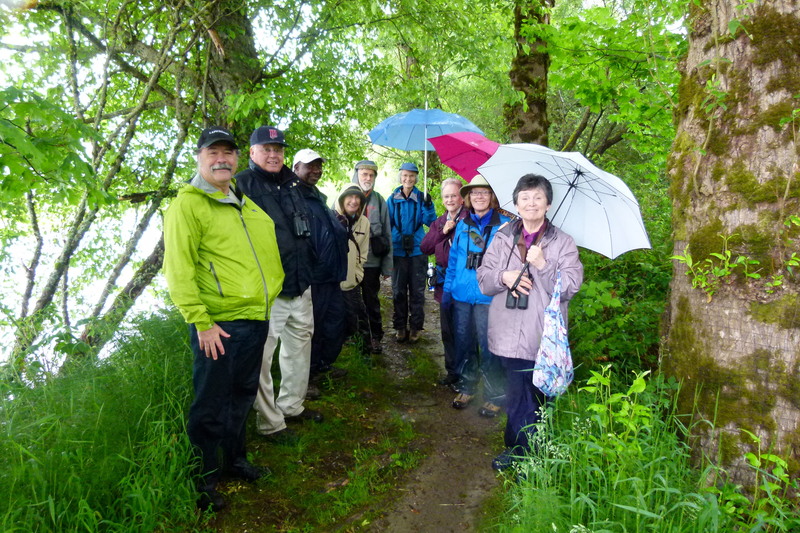 The trail itself being narrow, it was impossible for everyone to get together in one spot to observe every sighting and with the rain, which had started to fall, the noise of the drops on the leaves masked some of the softer bird songs making sightings even more difficult. 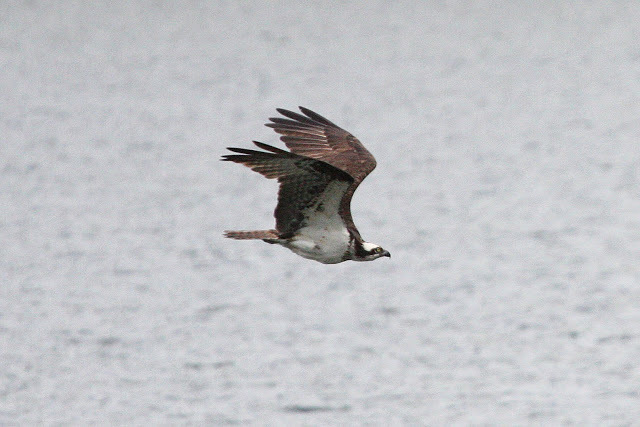 Consequently our list of birds represents a summary of individual and small group results. 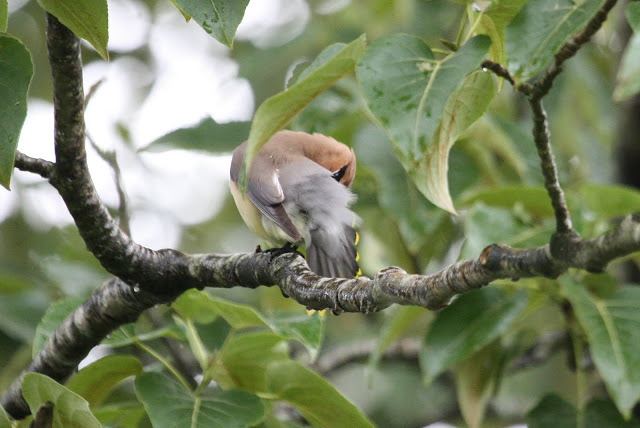 The beginning of the treed dyke trail, which is usually the most productive, was quite quiet but had many Yellow Warblers, and Cedar Waxwings. 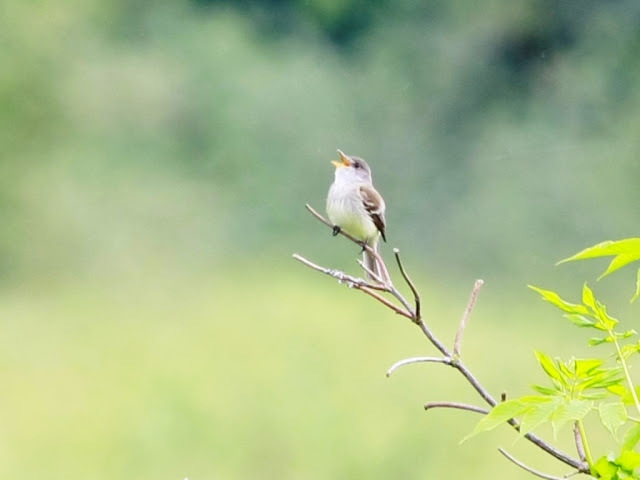 Several Willow Flycatchers were heard from the parking lot and all along the trail. 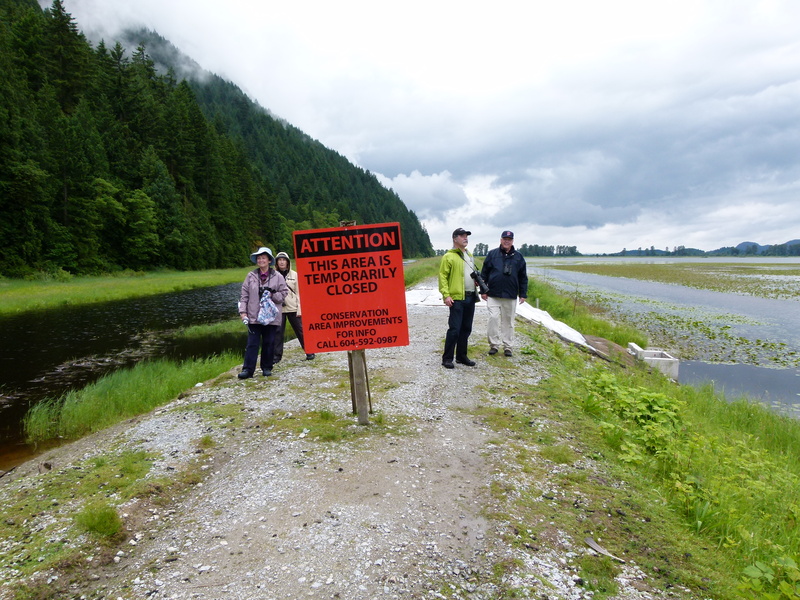 Swallows, mainly Barn, abounded and nests were located under the roof of the canoe rental facility. 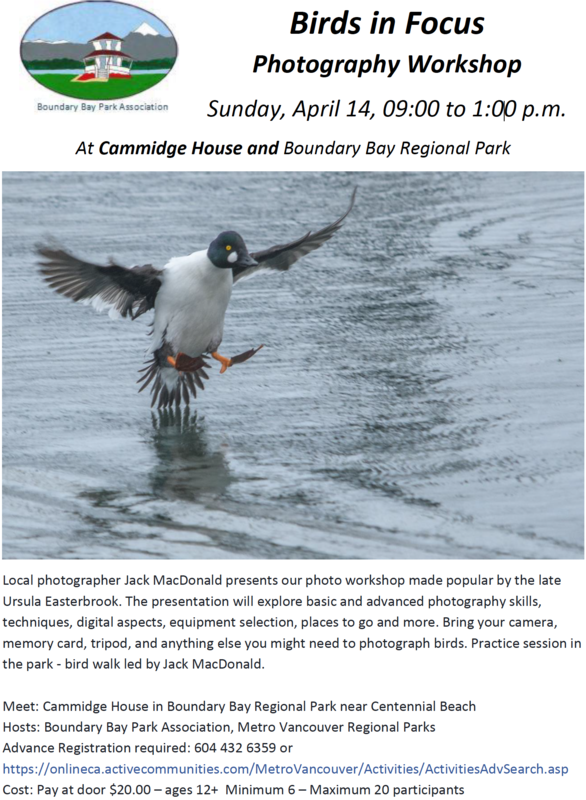 Birds seen along the dyke included Mallards and Canada Geese (in the slough to the south), Vaux’s Swifts, many Band-tailed Pigeons, Rufous Hummingbirds, Red-winged Blackbirds, Swainson’s Thrushes, Marsh Wrens, and Great Blue Herons. The rain became quite heavy at times and the vegetation drooped on to the trail making it awkward and the footing became slippery. 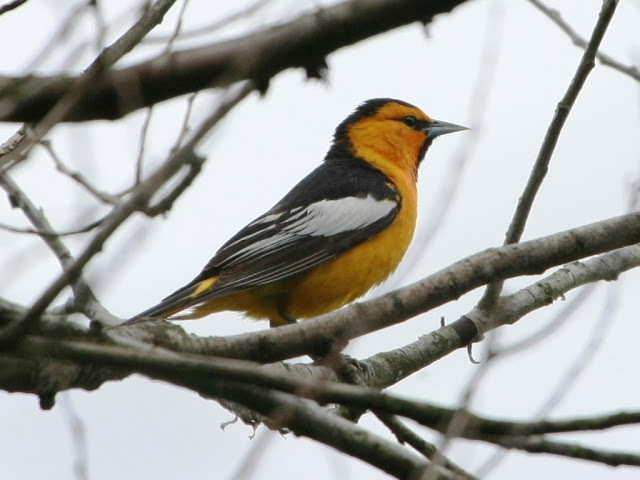 Nevertheless, we plodded on and were rewarded with excellent views of a pair of Bullock’s Orioles (see the excellent photos of Terry, Glen and Jonathan on our Picasa site). Before reaching the dyke along the mountains we met Al who was returning to the parking lot and he told us he had heard a Gray Catbird but wasn’t able to see it. The rest of the forward group had decided to complete the loop to the lake and the rest of us decided we would do the same as the rain had stopped and there were patches of blue sky showing. Along this second leg of the triangle we had a flock (4) of Trumpeter Swans fly over and some others were seen in the lake enclosed by the triangle. We had a good look at a Willow Flycatcher calling from an Elderberry bush, and Lorna sighted three Steller’s Jays along the mountain. 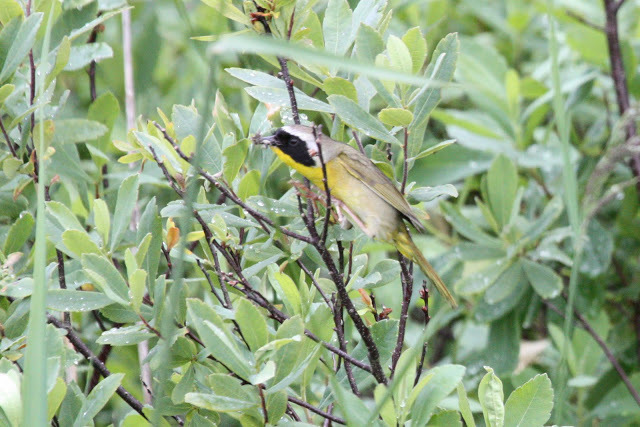 Lots of Common Yellowthroats were also seen and heard. In the far distance, about a mile away, those of us in the slow group could see the first ones on the lake dyke, some of whom were gone from the parking lot by the time we finally arrived. Along the lake dyke we realized that most of the swallows we were seeing were actually Cliff Swallows with a few Barns mixed in. 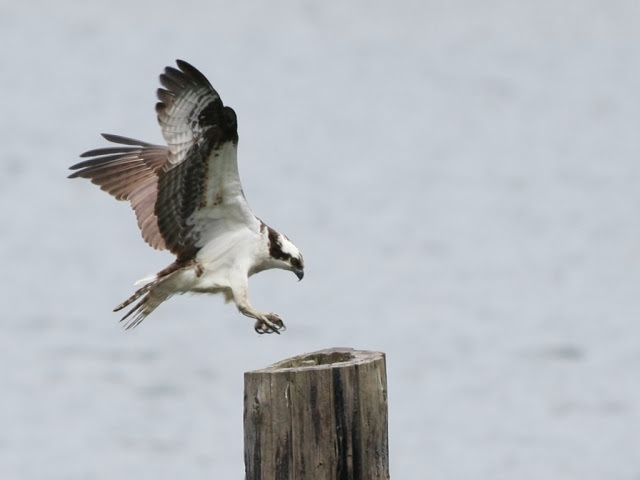 Three, maybe four, active Osprey nests were located on the pilings in the lake, and we saw adults arriving with freshly caught fish for the young (lots of good photos on the Picasa link). Back at the parking lot we were fed from Lorna’s bottomless bag of muffins, and egg-salad sandwiches (reminded me of the biblical “loaves-and-fishes” tale) and Kay’s munchies. Since Tom wasn’t there to enjoy the food there was more than enough for everyone. 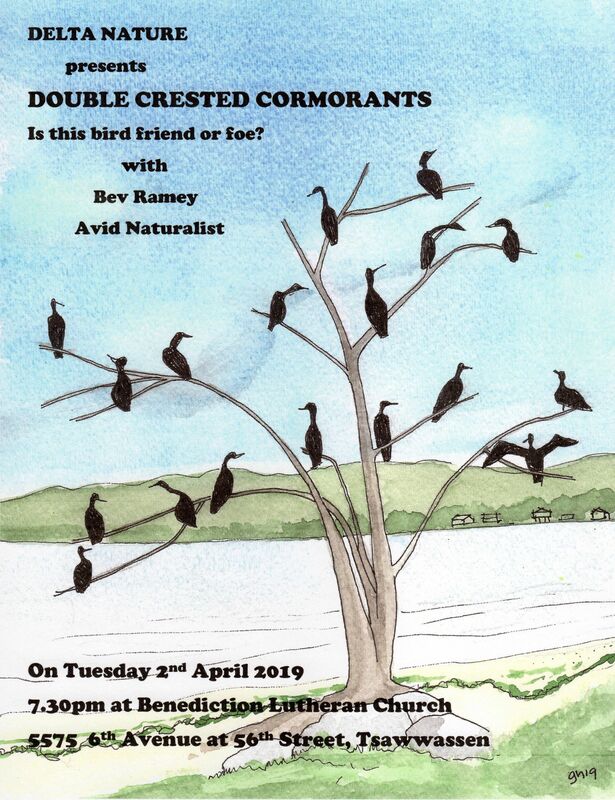 Later in the day, Marion reported the following: “after you all left, I got a Belted Kingfisher across the river, and a Turkey Vulture“. 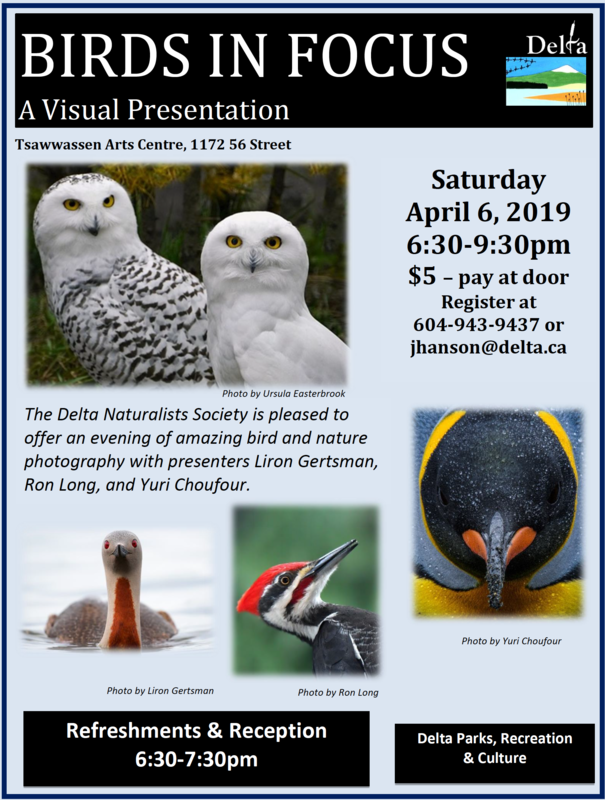 This entry was posted in *DNCB, Band-tailed Pigeon, Bullock's Oriole, Cedar Waxwing, Cliff Swallow, Grant Narrows, Gray Catbird, Osprey, Pitt Lake, Pitt-Addington Marsh WMA, Swainson's Thrush, Trumpeter Swan, Turkey Vulture, Vaux's Swift, Willow Flycatcher, Yellow Warbler. Bookmark the permalink.